What Facts Do I Need To Know About Iowa Workers’ Compensation? | Pothitakis Law Firm, P.C. What Facts Do I Need To Know About Iowa Workers’ Compensation? When it comes to workers’ compensation, it can be difficult to know your rights. Between the legal language of the state laws and the things your employer or its insurance company say, the situation can become confusing very quickly. 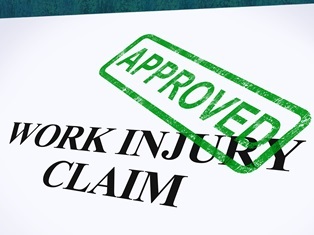 Many injured workers have little experience with both the law and the workers’ compensation system. It is natural to feel overwhelmed and understandable to believe that the other parties involved are being honest and forthcoming. Unfortunately, this is not always the case. For injured workers and their families, this misinformation can have significant consequences, resulting in missed deadlines, reduced settlements, and denied claims. Insurance carriers are not on your side. Regardless of what they tell you, insurance representatives are out to protect their own interests. They want to save their company as much money as possible, and they will try to pay you less than your claim is worth. Additionally, they will investigate you and your claim, trying to find any information that can be used to discredit you. If you must speak to them, never offer more than the basics of your injury—date, time, location, witnesses, and type of injury. Refrain from commenting further on your diagnosis and treatment as your condition may change over time, and only a medical professional should offer those statements. Compensation rates are variable. Similarly, both the weekly rate and a settlement amount offered by an employer or its insurance company may not be correct. Do not take their word for it. Compensation rates depend upon a number of factors, and it is important to fully understand your rights before accepting an offer. If you agree to an offer and realize later that your claim was worth more, it may be too late. A pre-existing condition does not automatically exclude you from benefits. While it is true that workers’ compensation does not cover pre-existing conditions, it is often the case that employers and insurance companies try to use the existence of any pre-existing condition as a way to avoid payment. A new injury to the same body part or the aggravation of an old injury can be compensated. A worker’s rights are not negated by past injuries. You do have some control over your care provider. In Iowa, employers have the right to choose the medical provider for their employees’ work injuries. However, this does not mean they have complete control over an injured worker’s care forever. Many times, workers are able to request a new provider or a second opinion if they are unhappy with the care provided by the employer-selected physician. Filing deadlines must be met in any situation. Even if you are negotiating with an employer or an insurance company, the state-set workers’ compensation deadlines still apply. Until an agreement is officially reached, injured workers should take care to continue the benefits process as dictated by law. This means filing the appropriate paperwork, meeting the stated deadlines, and continuing medical care. An experienced and knowledgeable lawyer on your side can make a difference in your workers’ compensation claim. Don’t take the word of insurance companies—be informed and empowered. Call our office nearest you or take a moment to fill out the contact form on this page to get in contact with a member of the Pothitakis Law Firm to get started. Do I Have to Use Iowa Workers’ Compensation After a Work Injury? How Is My Weekly Workers’ Compensation Payment Calculated? Previous PostPrevious What Workers’ Compensation Benefits Are Available If I Suffer A Permanent Injury? Next PostNext How Can Social Media Affect My Iowa Workers’ Compensation Claim?